Hurricane Gustav is about 80 miles away from New Orleans, and many are wondering if there will be a repeat of the Hurricane Katrina tragedy. 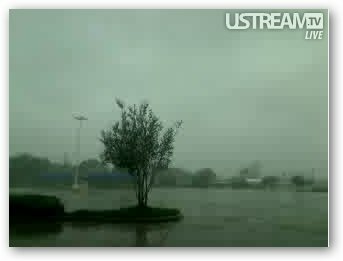 Live hurricane webcams show deserted streets in New Orleans, and wind bending the branches of trees. 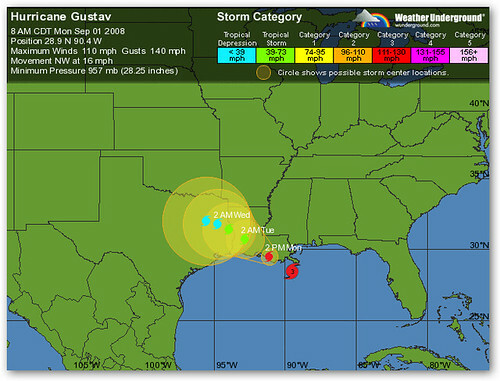 Luckily, Gustav, which was once thought to be a Category 4 storm will arrive instead as a Category 2 with 110 mile-per-hour winds. Still, there are concerns that the levees on the West Bank will overflow since they have yet to be repaired. New Orleans residents, meanwhile, have largely evacuated the city although 100,000 people have decided to stay. Ominously, Gustav has killed 94 people as it passed over plantations and oil rigs in the Caribbean this past week. 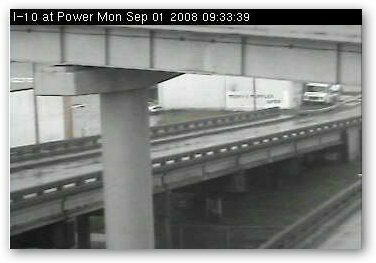 Traffic webcams show no cars on highways and bridges as Hurricane Gustav approaches. Mayer Ray Nagin of New Orleans says, "We cannot afford to screw up again." . . . ! ! ! H.e.R.e ! ! ! . . .